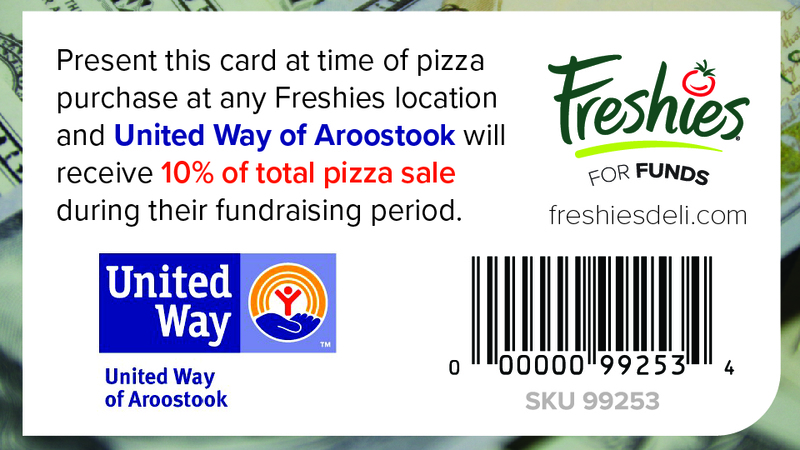 Support the United Way of Aroostook every time you buy a Freshies pizza by scanning this card at time of purchase! Support Machias Valley Christian School every time you buy a Freshies pizza by scanning this card at time of purchase! Support Arise Addiction Recovery Inc every time you buy a Freshies pizza by scanning this card at time of purchase! 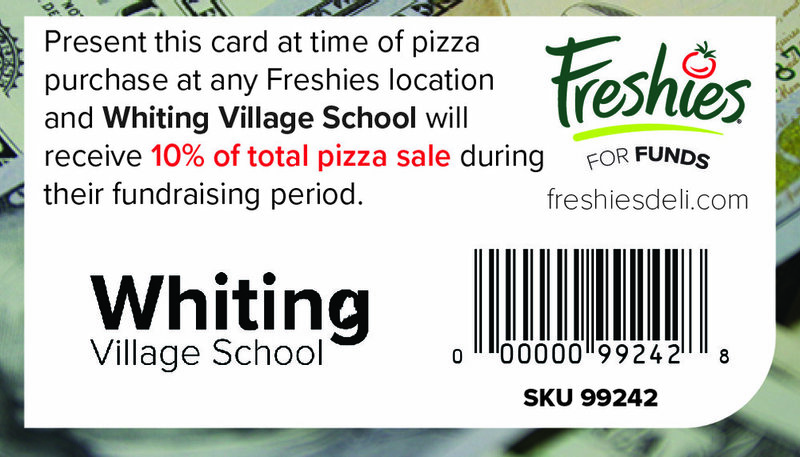 Support Whiting Village School every time you buy a Freshies pizza by scanning this card at time of purchase! Support Wagner Middle School every time you buy a Freshies pizza by scanning this card at time of purchase! Support Hancock CTC every time you buy a Freshies pizza by scanning this card at time of purchase! Support Calais Class of 2023 every time you buy a Freshies pizza by scanning this card at time of purchase! Support Center Drive’s 8th Grade Class every time you buy a Freshies pizza by scanning this card at time of purchase! Support Princeton Elementary School every time you buy a Freshies pizza by scanning this card at time of purchase! 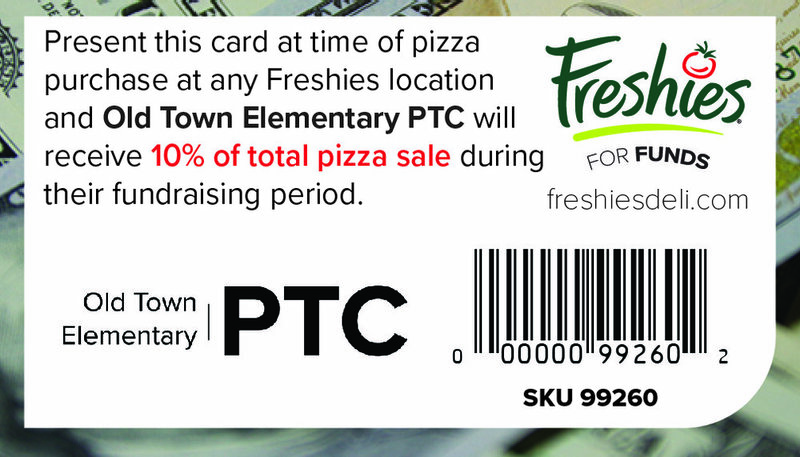 Support Old Town Elementary PTC every time you buy a Freshies pizza by scanning this card at time of purchase!